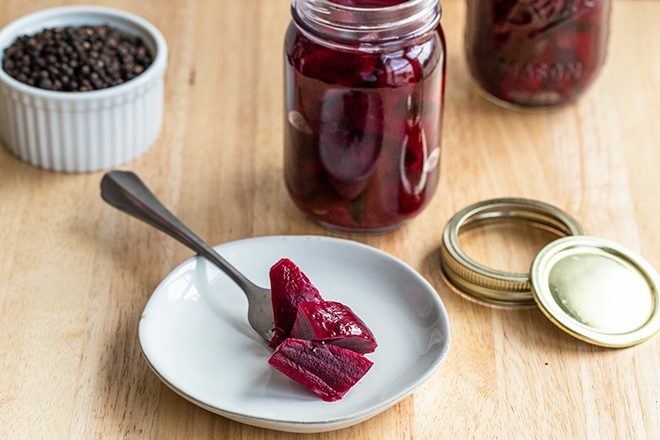 Beet relish is the tangy condiment you need to have on hand. Top anything from burgers, hot dogs, sandwiches, or add it to a cheese plate. Condiments are essentials in my house. We often whip up burgers or hot dogs on the weekends, especially when the weather is nice, and I like to have a variety of toppings to choose from. Ketchup and mustard aren’t enough to cut it. 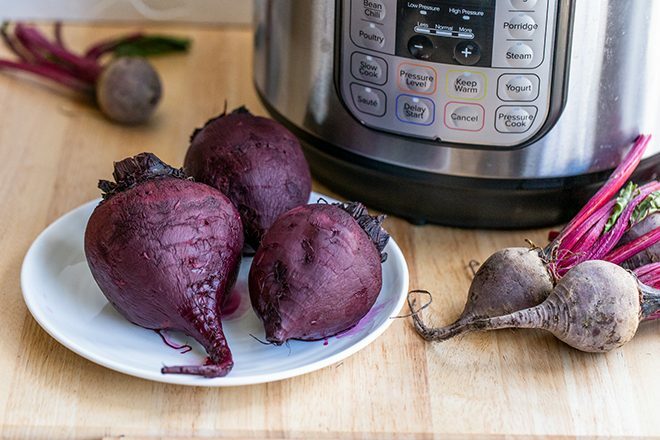 I recently discovered how to cook beets in my Instant Pot, and I always have a few on hand. I think the color is really gorgeous and they’re really good for you, too. I’ve been putting them into salads and pickling them, but with so many on hand, I thought I’d get creative. 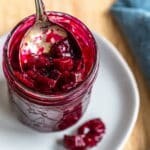 Beet relish was just the thing to make. I like that it keeps for a month in the fridge so I have some time to use it up in different dishes. My favorite thing to use beet relish on is a burger. I think it goes really well with mild, melty cheese, like fontina for example. It’s also really great to add a bowl of it on a cheese plate. 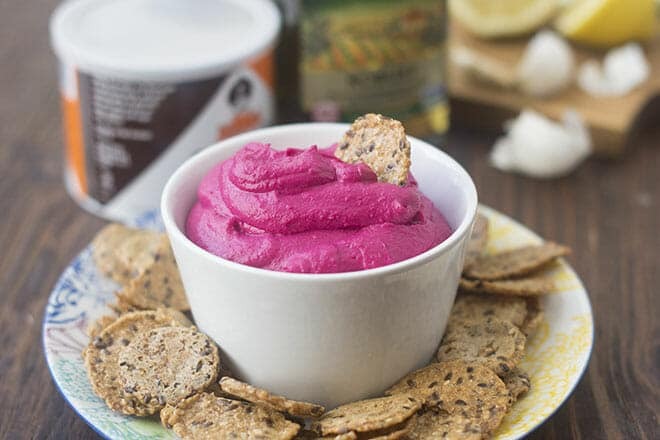 If you’re entertaining, guests can spread it on a cracker. It adds some interest and color to the plate. The relish comes together really quickly, all you need are those beets, some onion, vinegar, sugar, salt, and cornstarch. That’s it! It cooks in less than 10 minutes, and you can store it in a glass jar with a lid. Add the onion, vinegar, sugar, and salt to a medium saucepan over medium heat. Bring to a boil and cook for and reduce, cooking for 4 minutes. 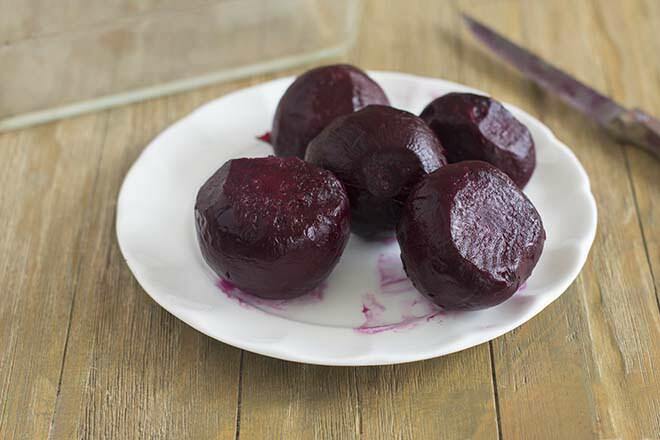 Stir in the beets. Cook for 2 additional minutes. Dissolve the cornstarch in about 1 tablespoon of water, until a slurry forms. Pour the cornstarch slurry into the relish mixture and cook for 1 additional minute, stirring, and remove from the heat. 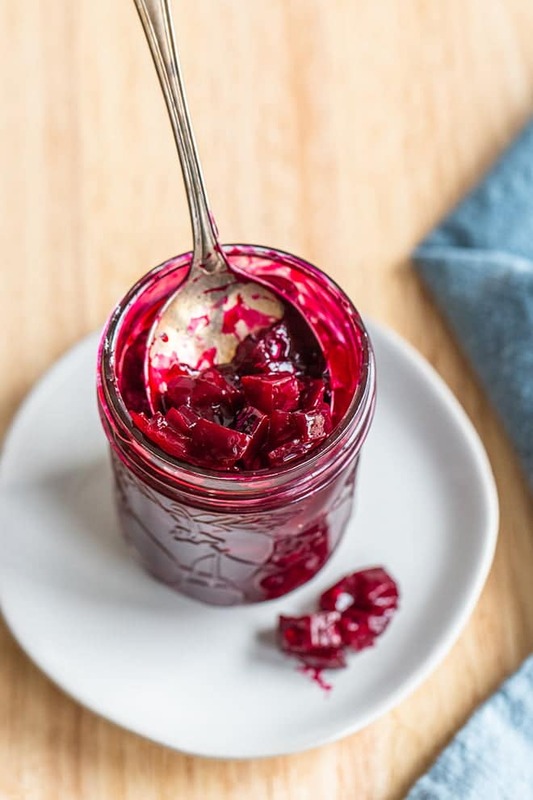 Pour the relish into a clean glass jar with a lid and store in the fridge for about a month until needed.